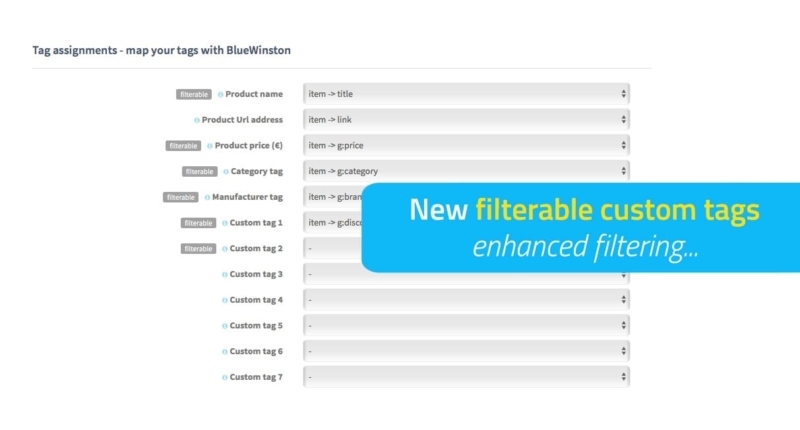 We added new label “filterable” inside the tab called “tag assignments & filters” for better understanding which of the tags are able to be filtered in the section “Filters & Additional filters”. 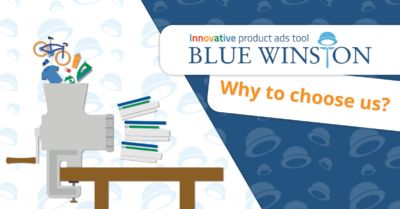 From now you are able to filter your products inside of campaigns created via BlueWinston.com by Custom tag 1 and 2. 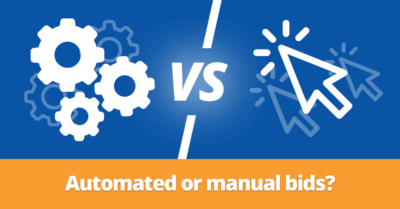 It is very simple and the solution how to filter your products is the same as before at Category and Manufacturer filter.